In 2015, Dr. Renee Andino and Dr. Rob Andino, from HealthFirst Wellness in Rockford, IL sponsored our very first camp scholarship. Thanks to their generosity and passion for our camp, we now have an ever-growing scholarship program that continually strives to better serve the youngest musicians in our community. NOTE – All RnRI Scholarships are for kid’s camp only. If you’re interested in donating to the RnRI Scholarship Fund, please visit our secure donation page, or feel free to make a donation in person. Or, become a Scholarship sponsor! You can sponsor a RnRI Scholarship in the memory of a loved one. If you have a business, you can become a corporate sponsor. Contact us at rockandrollinstitute@gmail.com for more information on becoming a sponsor. In 2015 Dr. Renee Andino and Dr. Rob Andino sponsored our first ever camp scholarship. Thanks to their generosity, not only do two kids get an opportunity to attend our camp for free, we now have a scholarship program that continues to grow! This is a need based scholarship. Recipient receives one week of camp enrollment, a $350 value. This is a need based scholarship for returning RnRI campers! The scholarship award covers 50% of one camper registration cost for one week of camp enrollment. The recipient would be responsible for the remaining registration balance. In Spring of 2017, we received a Scholarship application from a young man named Christopher Ruckman. His audition video was unlike anything we had seen. The Scholarship committee could not believe the level of musicianship that Chris possessed, the way his young hands made that guitar sing. He was truly a musical prodigy. Needless to say, he was awarded an RnRI Scholarship. A few months later, he tore down the Mendelssohn stage (figuratively, of course) with an amazing performance with his band Deadwood Bounty. Less than a year later, Chris and his little brother John “Jack” tragically left this earth, taking their talents and our hearts with them. We were blessed to have Chris as a camper and as a friend. And we were looking forward to eventually working with John as well, considering he was a phenomenal percussionist. Thanks to the generosity of our camper families, and friends and family of Chris and John, we received enough donations to start this Scholarship in their honor. 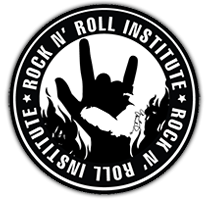 The Rock and Roll Institute has offered to match any donations made to this fund, guaranteeing the memory of Chris and John to live within our camper family for many years to come. This is a performance based scholarship. Recipient receives one week of camp enrollment, a $350 value. Shortly before Jason SSG passed away in 2013, I had put the question to him “What was your secret to being creatively engaged and connected to so many people?” His response was simple, “I just want to help my friends make stuff. That was Jason in a nutshell. So many people took inspiration from his endless good cheer, his deep well of ever-present, jet-black humor, and the warm inclusiveness of his company, that it’s occasionally overwhelming to consider. He was always heading in new and unexpected directions, typically letting the needs of others guide him forward. This is true of his time running open mics, booking bands and running sound at clubs, painting and sketching, writing poetry and putting together a Dada-ist humor zine, working on films, and even sitting in on bongos for my Velvet Underground Christmas Spectacular back in 1996 – and this is just part of what I experienced first-hand. He was also one of the few people I ever trusted enough to be my co-pilot (or I was his), often taking over the wheel on long road trips, reveling to the strains of Parliament and the Sugar Hill Records box set. To Me, he will always be the most massive of inspirations, a guide-post to continue to find art and beauty in the most dire of life situations. Regardless of finances, health concerns, or whatever struggles life can throw at us, it’s imperative to always remember to create. And if you’re feeling stuck, or alone, reach out for the company of friends to share laughs. Lastly, to quote James Brown (one of his favs), “Get up, get into it, get involved.” This is SSG, now and forever.